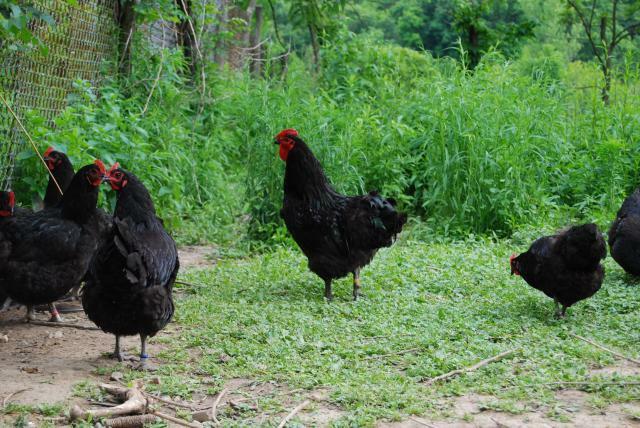 This is few pics of my older Java rooster and some of the girls from the summer 2009. His comb is blunted from the very cold winter in 2008-2009. All of my Javas, both black and white, are from Garfield Farm Museum llines (I actually picked mine up at the Museum of Science and Industry) What a trip to the Museum! 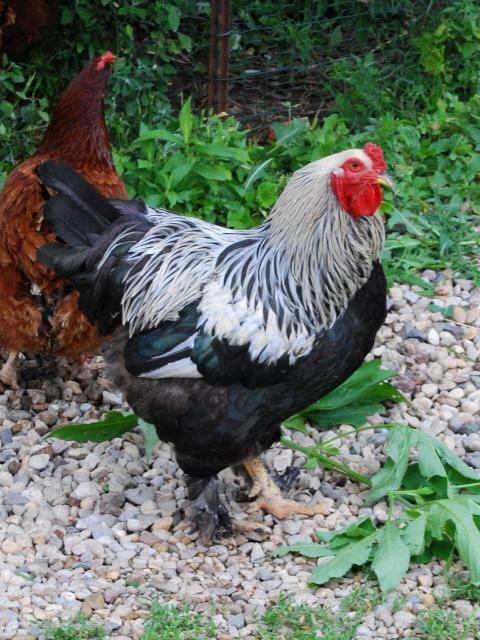 Javas are dual purpose birds, with the the hens laying a medium light brown egg. 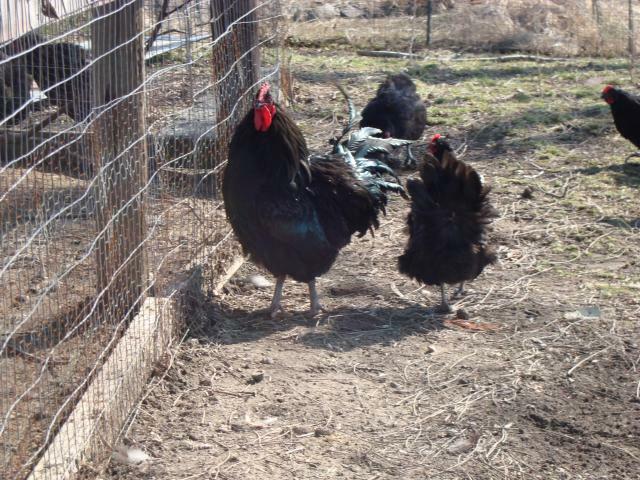 The roosters are slow maturing, but do make a nice carcass.